Finally I made it to snap my wonderful inspiration set of the Finesmith Muse 2011 contest. 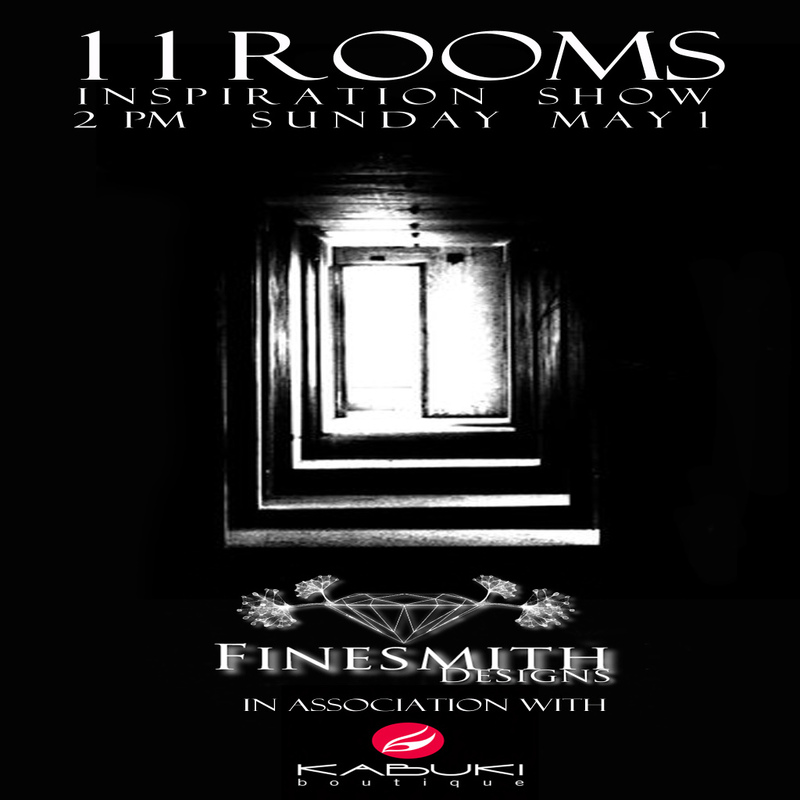 On the 1st of May, Finesmith Designs had a wonderful show, produced by Kabuki Boutique. The show was called “11 Rooms”. Each room had a special scene. Each model with it’s own inspiration set had a room that was made especially for that set. Taylor Wassip was acting in a bedroom, Luralie Bailey danced in a club scene, Rissa Friller was in a shopping rage at a Jewelry Store, Aliyeh Yifu, the little mermaid was swimming in an amazing underwater scenerie, Shena Neox was putting together a wonderful style in a dressing room, Vivienne Coppola showcased her awesome set in a cabaret show, Jamee Sandalwood wandered around the forrest, Sy Whitesong hovered through the downtown at night, myself was captured in a dungeon, Melanie Sauterau (for the show replaced by Serene Faith) strolled through an Art Gallery and Rusalka Callisto was turning her body in front of a camera in a photostudio. “Wicca Merlin was not born into the life of slavery. She entered it willingly with her eyes wide open. She adored her master and did his bidding. From cleaning his house to pleasing him in bed…she did it all without a word of complaint. The second set I would like to show you, was made for Melanie Sauterau. For the show Serene Faith our actual MVW replaced Melanie as she was not able to make to the the show. “Tonight is the opening of a new gallery exhibit. The pieces have been selected with great care to show the best work of this renowned artist. She is so young to be so accomplished in photography, oils, marble, metal, and gems. Her metal work is undoubtedly what she is best known for. I’m so very honored to be part of this exhibit. I’ve heard people say how very life-like I am. Some have even reached out to touch my skin to assure themselves that I am not a living model, or they watch my breast to see if I breath. I don’t understand how I cannot be living though – I have feelings, I love, I cry, I wonder.. The last one for today yula made for Vivienne Coppola. A wild and fresh set that totally is a must have for every fashionista! ” Of all of her friends, Vivienne Coppola is the perfect one to appear in a dream cabaret. She has a wonderful collection of vintage flapper clothing. She is also dramatic in her behavior and her movements. She is even known to burst out into song and dance right on the street. Even her jewelry, from Finesmith Designs, is perfect for her dramatic flair. The pieces seem somehow exuberant just like Vivienne. The band, the music, the dance, the beat of the drum – it all seems so full of life. All of the March / April inspiration sets are limited to 50 sets each and you can as well purchse them in single parts! As I said there are 10 new inspiration sets and I will show them to you one after another, so stay tuned for all the other lovely piece of arts created for wonderful models by yula Finesmith, owner and genius goddess of Finesmith Designs!